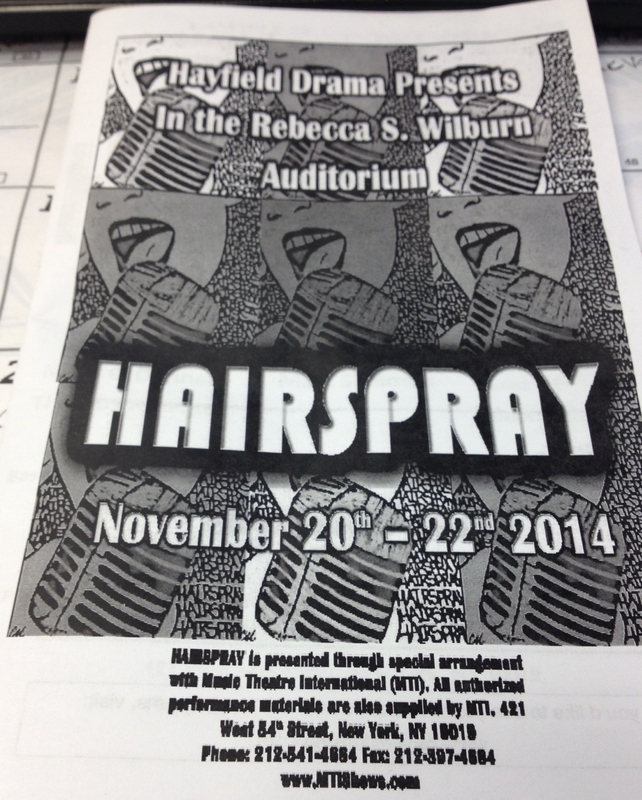 Home » Hayfield Drama: Awesome Hairspray performance! Congratulations to Hayfield Drama for an excellent run of Hairspray! We saw the final performance on Saturday night, but heard that the previous three shows were awesome as well. The musical performances were outstanding, the acting was very professional and we thoroughly enjoyed the show. It is great to see live theatre and we will certainly be back for the next one. We want to send a special shout-out to Zane Burk as Wilbur Turnblad! Hayfield Drama maintains a website with a wealth of information about upcoming performances, ways to volunteer and options to support the group. There is even an e-mail list you can subscribe to for up-to-date information on performances and behind-the-scenes volunteer opportunities. Be sure to check it out!